Earlier this year, we reported on a new proposed bill in California to eliminate the sales tax on new cars manufactured in the state for out-of-state buyers. 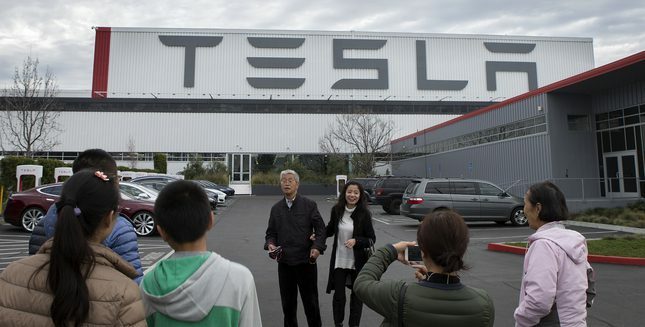 The bill aims to spur “industrial tourism” and encourage people to come pick up their new Teslas at the automaker’s Fremont factory without having to pay California’s sales tax. The bill, which was proposed by Tesla and is sponsored by Sen. Bob Wieckowski whose district is home to Tesla’s Fremont factory, is now facing strong opposition as some legislators suggest it only aims at offering tax breaks to rich people able to afford luxury vehicles. To be clear, the out-of-state buyers would still have to pay sales taxes in their home state where the cars will be registered, just not in California where they come pick up the vehicles. The loss in revenue for the state would be extremely marginal since California’s sales tax is often higher than in most other states and therefore almost no one is coming to pick up their Teslas at the factory if it isn’t going to be registered in California. State budget officials estimate the proposal would reduce revenue by only $25,000 annually, according to the Mercury News. We are talking about only 2 or 3 people a year. Now more people would be expected to do it if the new provision was adopted, but bill sponsor Sen. Bob Wieckowski is convinced that revenue from the industrial tourism would offset the cost. Several luxury car brands in Europe offer the option to pick up your new car at their factory and make an event out of it, which can include a factory tour and a road-trip across Europe. They take care of a shuttle from the airport to the factory, car insurance and registration for the duration of your stay and offer a choice of packages included in the price of your purchase for you to make an European road trip out of the first drive with your new car. You can drive back to your home in your new car, if geographically possible, or drop the vehicle off at one of several “drop-off” points across Europe and they will ship it to your home. The program created a small tourism industry for car enthusiasts, but also an interesting customer experience which has been especially good for the brand loyalty of German automakers. According to Wieckowski, Tesla hopes to create a similar program. If the bill was to pass, an out-of-state buyer would be given a California tax waiver, as long as the new vehicle is registered in another state within 30 days. The buyer would then be liable for taxes in their home state.